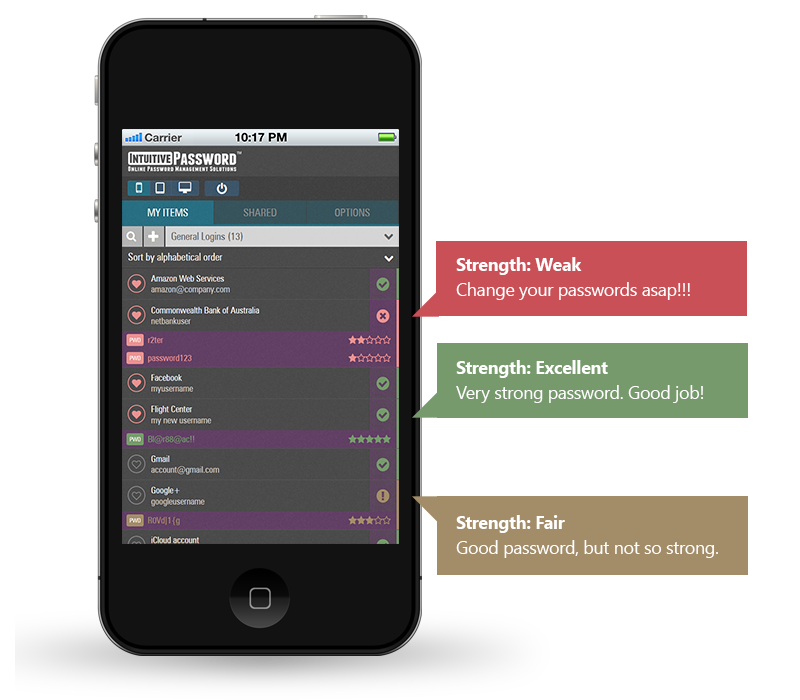 Let Intuitive Password change the way you organize your passwords. Just dive in: save your passwords, bank details and secret notes in one secure place. We'll sync everything between your phone and computer automatically. Intuitive Password works on all devices without installation required, which including smartphones, tablets, laptops and desktop PCs. Intuitive Password has the ability to restrict your account access against hacking or brute-force attack by countries and territories. We'll securely logout of your account if you didn't use it for a period of time. This protects your account from being accessed by others. 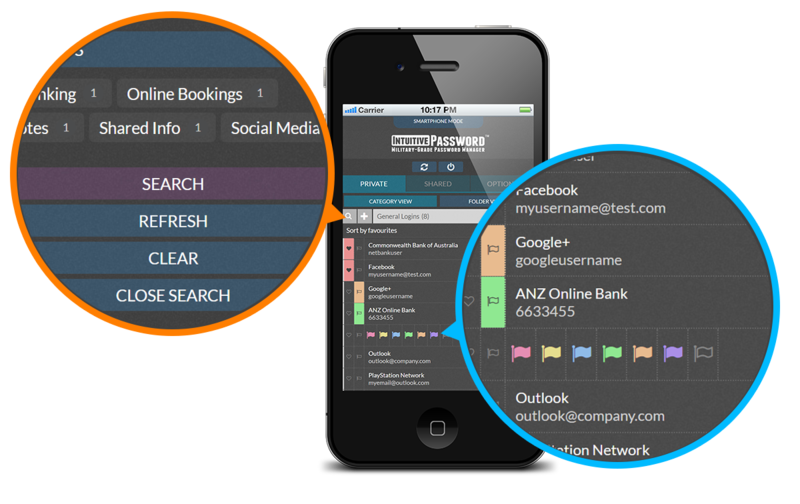 Intuitive Password's search facility helps you quickly search for passwords or secret notes by keywords or tags. Single-use codes let you avoid using your password when you login from a public computer or other not-quite-secure device. Your data is instantly syncs across any computer or phone you use. Start working on one device and continue on another without ever missing a beat. 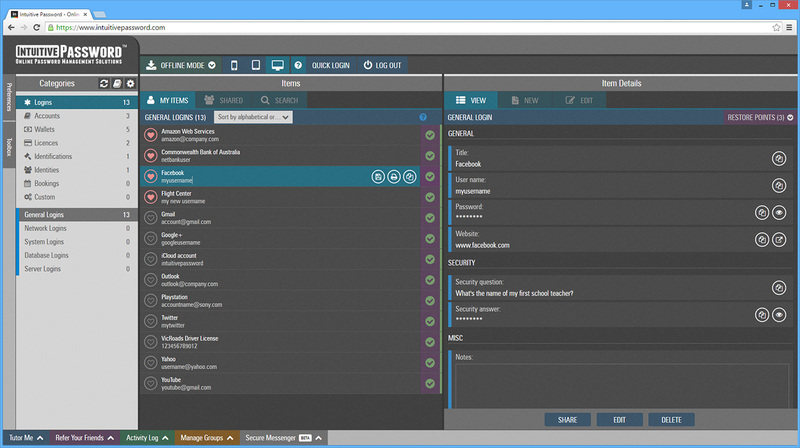 Use flags and tags to organize your passwords and find them easily. To create a flag, simply select a Password Item and pick a color for the flag. 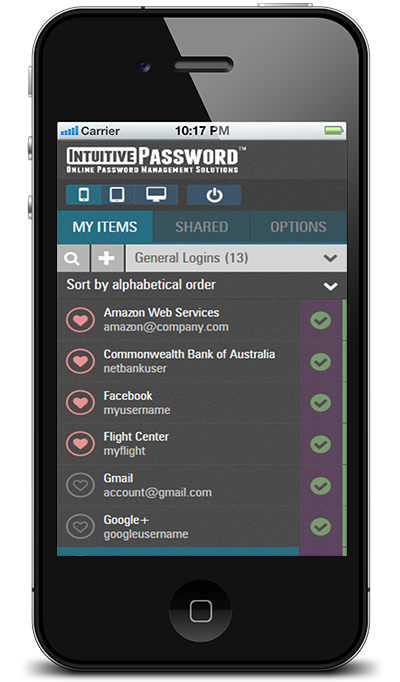 Intuitive Password Basic gives you the tools to manage all your passwords and secret notes in one secure place, and takes the hassle out of remembering passwords. 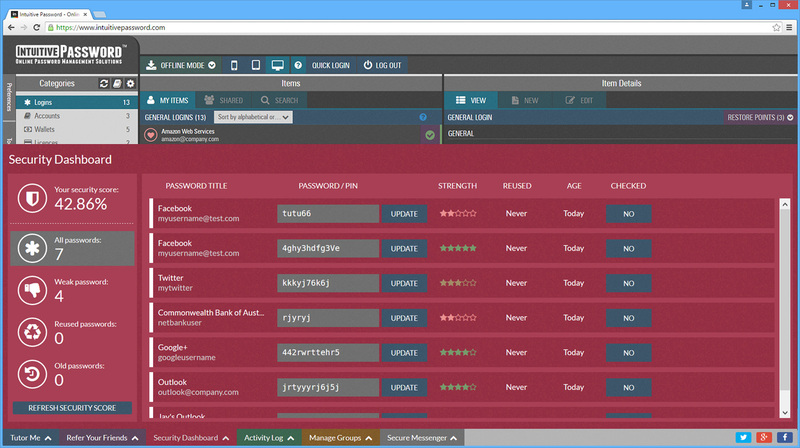 Analysing the strength of all your passwords on the fly, and alerting you of weak or breached passwords. Update your weak passwords immediately to prevent brute-force attacks by hackers.  With the Emergency Access feature, you can give trusted family and friends access to your Intuitive Password account in the event of an emergency or crisis. Your designated Emergency Access user can securely view your passwords without knowing your login credentials. Get one-click login for all your accounts with Intuitive Password. Just install the Plugin, then simply click to login to any site automatically. The Security Dashboard conveniently displays your password health in a nutshell. 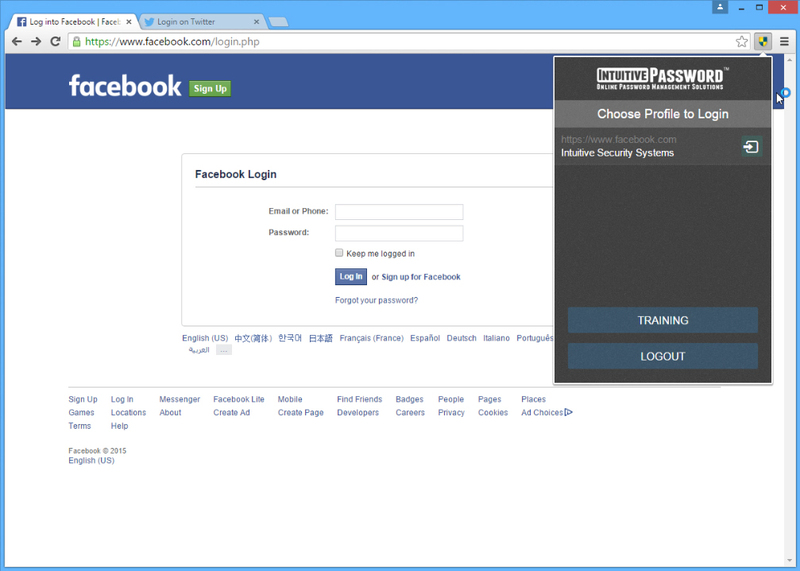 It tells you the dangerously weak or reused passwords that are stored in your Intuitive Password account.